I filmed and edited this video yesterday. It includes advice from Guanu and John's post as well as some of my own. 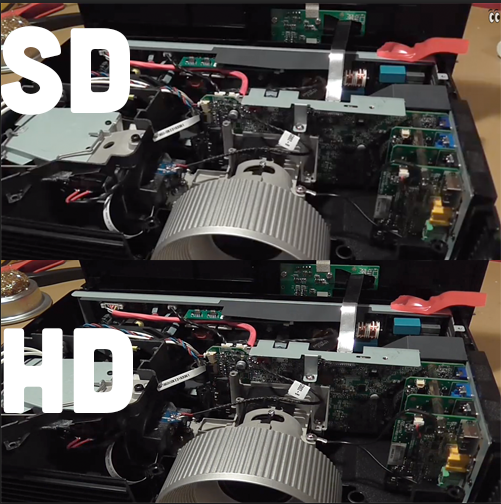 There is a big difference (audio and video) between SD and HD on this video, please watch it in HD if you are able to. What modifications did you specifically make to the 1283? I'm at work and can't watch the video. Would be interesting to know how much UV that filter is removing. I'm using the P1280 in my LittleRP and all I did was adjust the focal length of the lense. I did not remove the UV filter and I'm getting right around 10.2 mW/cm^2 UV from my setup. 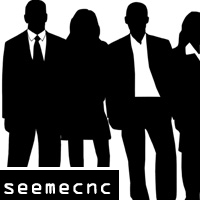 Do you have the UV filter at SeeMeCNC? If so, I could stop over after work today and grab it and use my UV meter to see how much UV it filters out on my system. I find that odd as the SF resin is a 'slower' curing resin than the G+, and it uses the same photoinitiator. Brent recommends that this is the one that is purchased????? JohnStack wrote: Brent recommends that this is the one that is purchased????? Whichever projector you purchase is absolutely fine. However, this is the one that is currently being tested by Guanu and possibly JJ. sgraber, yes I have the filter here still... not in the machine, but I have it lol... trying to dial in exposure to layers is "fun" during testing lol..
Can I stop over this evening and pick it up? what time? I'll prolly be here till almost 5, feel free to come by. I can be there at 5, or a little before. If you have to leave before that, just let me know where you've hidden it outside. PM me here or email me @ sgraber@gmail.com. Crap, I'm not going to make it at 5pm guanu. How about tomorrow? So, what kind of image time should I be setting in the Creation Workshop software. The default was two seconds, but I bumped it to 5 for testing and it seem to work... but I'm going to lower it back to find the limits. Here is the first print... took about 2 hours and 45 minutes.